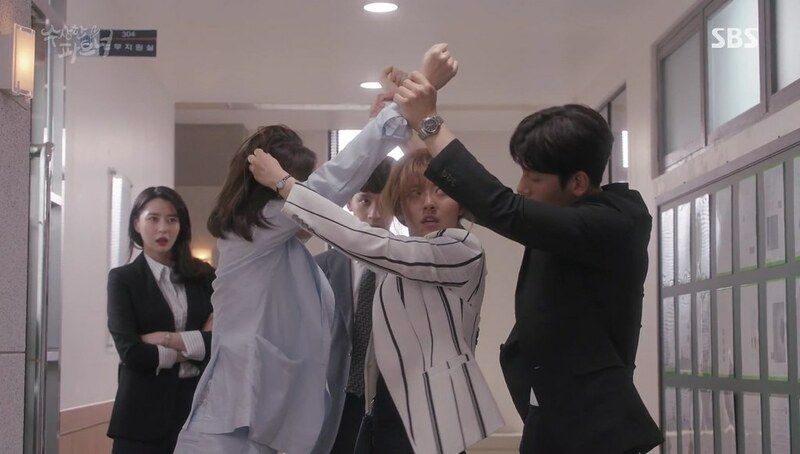 Noh Ji-Wook (Ji Chang-Wook), a prosecutor, met Eun Bong-Hee (Nam Ji-Hyun), a first-year judicial trainee for the first time in an unexpected embarrassing incident. Three months later, they meet again as a supervisor and probationer. Things got worse when Bong Hee suddenly gets caught as a suspect for her ex-boyfriend’s murder. 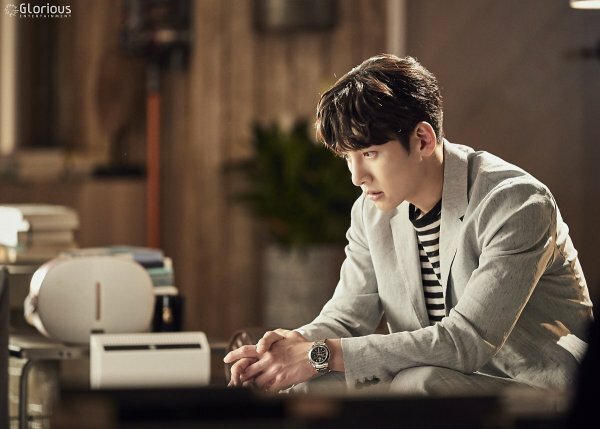 While she becomes a defendant and Ji Wook who is known as a harsh prosecutor, what will he do next? 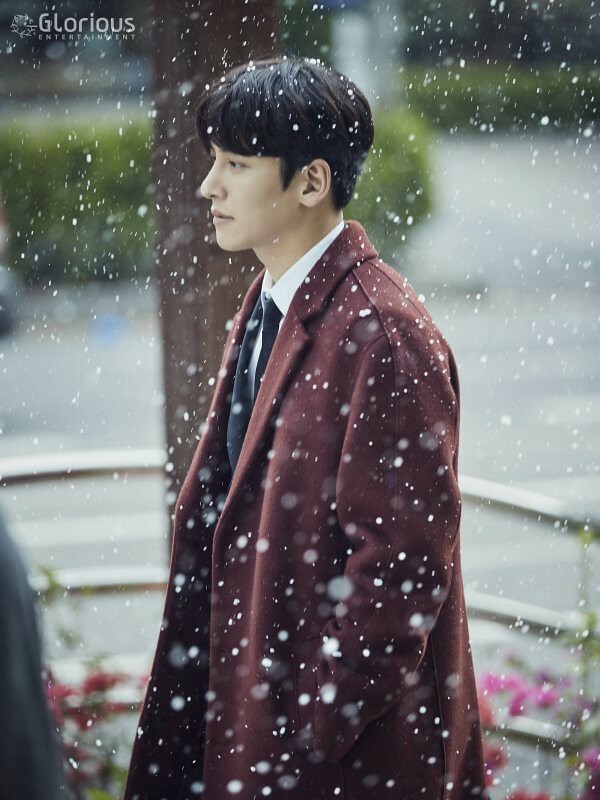 After watching The K2 (2016) and Healer (2014-2015), I really am waiting for another Ji Chang-Wook’s drama again. I was super excited when I heard about Suspicious Partner but kind of surprised when I heard this drama is 40 episodes long. However each episode only 30 minutes long, so it’s just like watching 20 episodes of Korean drama. Up to this point, I still don’t understand why they made it 30 minutes and 40 episodes when they can make it an hour and 20 episodes. Regardless, I still can enjoy the drama anyway. I know I usually start the review with the actors and actresses first, but this time, I will start it with the story. I’ve heard Suspicious Partner from my sister, like always. I haven’t read the synopsis at that time so I don’t know if I’m going to like it or not but I do want to watch it, sincerely because of Ji Chang-Wook. And when I finally read the synopsis, I watched Suspicious Partner right away. The storyline of Suspicious Partner is indeed interesting. Despite the cheerful poster, the story is a bit thrilling. Cheerful yes, but there are things that make this Korean drama thrilling. 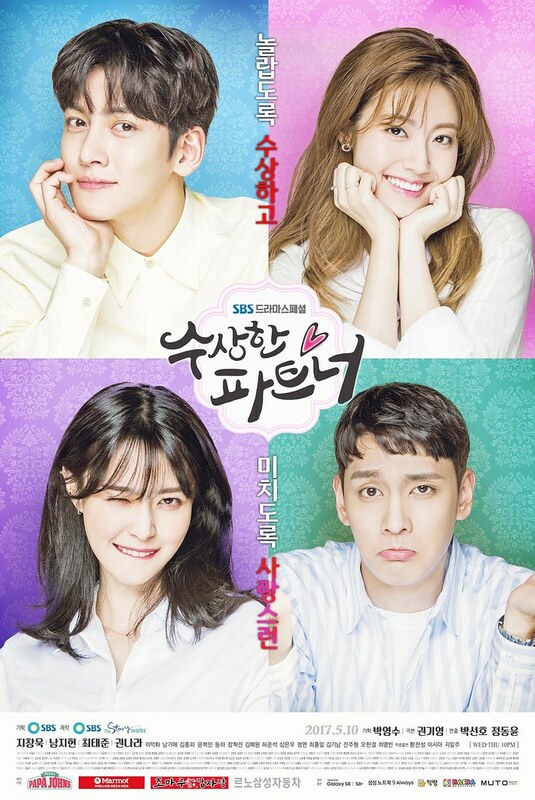 Suspicious Partner is mainly a legal drama with romance in it. Something that I really like to watch, instead of pure legal drama like Remember: War of the Son (2015-2016) or Defendant (2017). 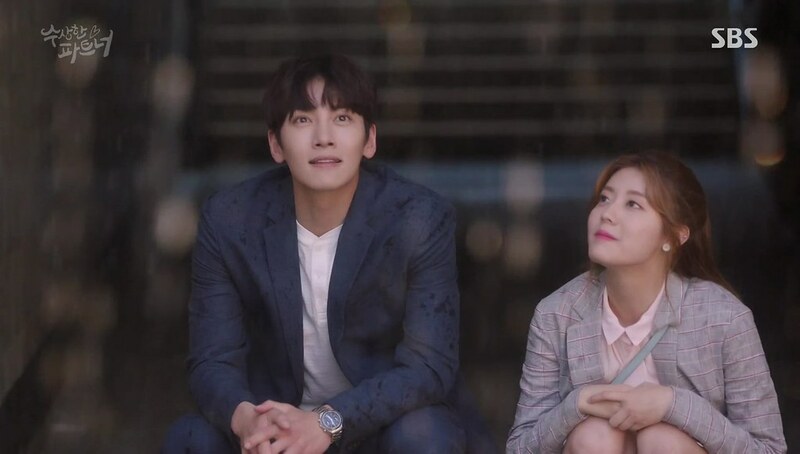 The portion of the romance story and legal and crime story in Suspicious Partner is just right. Although my sister and my best friend said at some points, the story is a bit scary. Well, since the crime is about murder, I get it why they said it Suspicious Partner is a bit thrilling in the beginning. However, later on, we were given a lighter mood and even many comedy. I think it’s more of tensed rather than scary or thrilling. Like any other drama, aside from the main crime case, Suspicious Partner also gave us some other cases. The other cases are more simple and solved quickly but still exciting and even thrilling. Each case is delivered in a good way and interesting way. There are times when you couldn’t see what’s coming because they gave you a twist and quite a turn. It’s pretty smart, in my opinion. When you thought you already guessed the real perpetrators, they gave us a twist that would change your mind and second-guess again. In the end—well, not in the end, more of in the middle—you can pretty much guess the real perpetrators soon, you can’t know the end and that’s why you will want to watch the drama more and more. The way they unfold the suspect and the other stories is so smart that we have to keep on guessing and keep on watching. You won’t know the answer if you don’t watch it until the end. Of course, Suspicious Partner is not just about crime case all the time. Some romance—if not many—scenes are there too. More of a romantic comedy rather than just the usual romance. The chemistry between the two lovers are so sweet yet at the same time can be very funny too. That’s why I like this Korean drama. Not only they gave us some tension in the cases but they also gave us romance and comedy between the main characters. That’s why Suspicious Partner is not boring. The story is intriguing, exciting and definitely very entertaining. The story of Suspicious Partner can also be very ridiculous too. A ridiculous in a positive way that will make you laugh eventually. There are times when I laugh out loud because the expressions of the characters are very funny and I often smile because the story is fun. Though the laughs won’t make you hurt your stomach or even cry, Suspicious Partner still gives a very good humour and comedy. All the cast are not afraid of looking ridiculous and that’s what made Suspicious Partner funnier than it already is. Not only their expression is funny, but even when they look serious, the lines that they were saying were so good that it made everything even funnier. So it’s not just the story that is funny but the cast made the drama even funnier with their excellent act and facial expression. I don’t have to say about the costume and the setting anymore because nearly all Korean dramas nailed it. 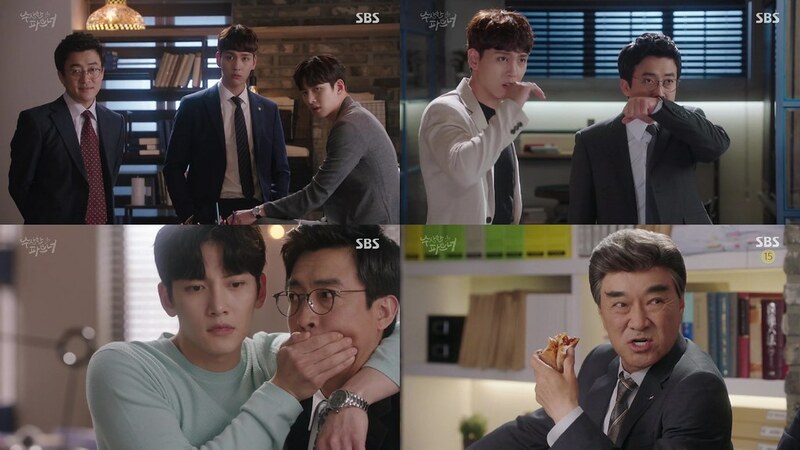 Suspicious Partner is no exception. Every place, from houses to workplaces, was being paid attention to details. The costume also very good, as always. I always adore the Korean prosecutors’ robes. I think the robes looks stunning. However, I don’t know that Ji Chang-Wook who played Noh Ji-Wook could make the robes even more stunning. Seriously. Not only he looks handsome in that robes, but also look very charismatic. 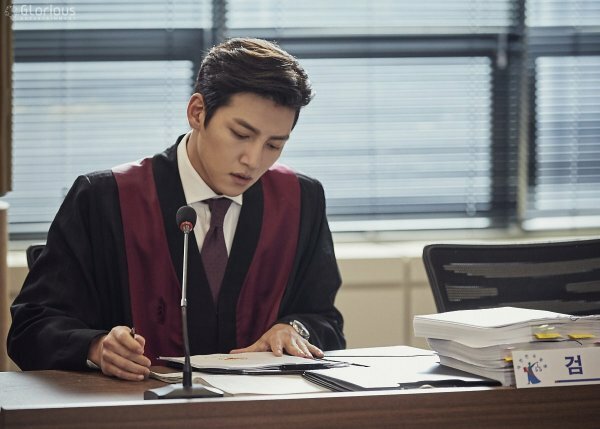 Prosecutor looks really suited Ji Chang-Wook really well. 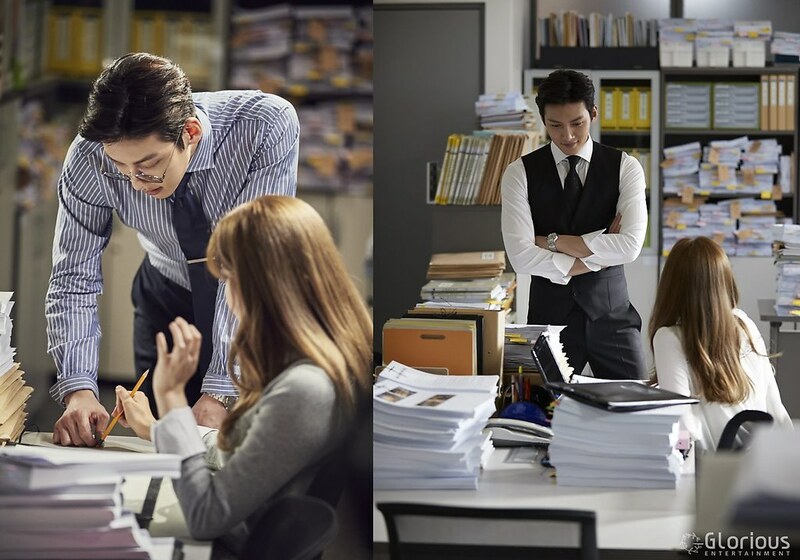 I like the idea of how Noh Ji-Wook changed his hairstyle when he became prosecutor and lawyer. Although I don’t know the reason why he did it or to be exact, the makeup artists team did it, but I kind of like the idea anyway. It does create different personas of Noh Ji-Wook. After all, Noh Ji-Wook loves his job as a prosecutor but hates his job as a lawyer. Therefore, we can see and understand why he made an effort to style his hair when he worked as a prosecutor or not be doing any effort when he worked as a lawyer. 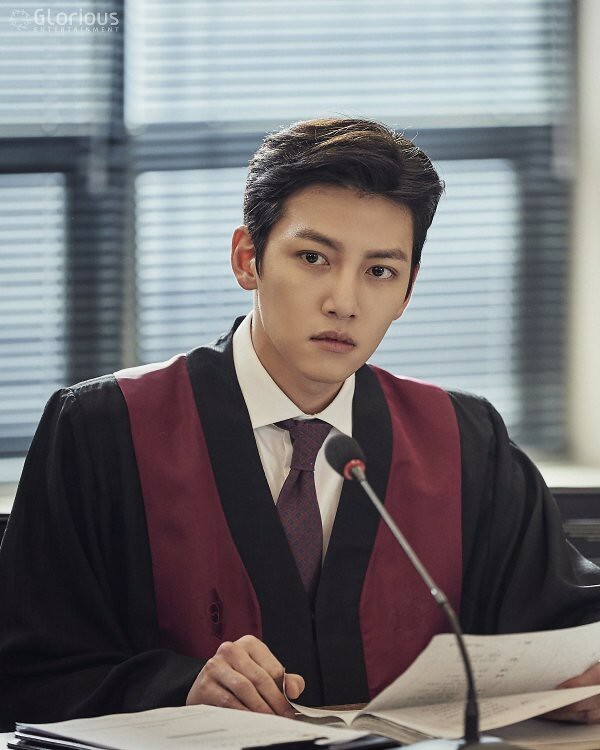 Either way, the hairstyle, when he worked as a prosecutor and as a lawyer, suited Ji Chang-Wook really well. Even when they tried to endorse a product, Korean dramas always find their way to promote the product without being awkward. They did it flawlessly and therefore the promotion doesn’t really affect the story. All things happened normally. I really have to praise the production team. They really have done a great job, even the plot story of Suspicious Partner is very good too. As always, the writers wrote the story really well and I am sure they asked the experts to support the story, like the one who understands about laws and such. Like the other dramas such as Doctors (2016) and Good Doctor (2013) or You’re All Surrounded (2014) and Remember: War of the Son, the writers must have asked the professional about the medical terms or the legal terms. It’s not possible they understood all by themselves unless the writers are indeed a doctor, a lawyer, or a police detective. Why should I mention this? I think this is worth mentioning. I know that a lot of TV series and films writers must have asked the experts to make the stories real and based on fact but some TV series and films–not that I’m going to name any names—weren’t told based on fact and therefore, all the medical terms and laws seemed to be unrealistic, fake, and couldn’t be accepted with logic reasons, making the stories don’t look convincing. They didn’t really convince the audience. However, that’s not the case in Korean dramas, including Suspicious Partner. Therefore, the story looks real and very convincing. The soundtrack of Suspicious Partner is also very good and support the story really well. Thus, we as the audience can enjoy the drama more. Now, let’s talk about the actors and the actresses. Like I’ve said before, Ji Chang-Wook has become one of my favourite actors and therefore I’ll be waiting for his Korean dramas. I’m sad when I heard he will be enlisted in the army soon but I will look forward to his drama in the future. Anyway, in Suspicious Partner, Ji Chang-Wook has portrayed his character really well. After seeing him acting as a bodyguard or some sort, seeing him as a prosecutor and a lawyer is new to me. Not be able to see him doing the fighting scene and some sort doesn’t diminish my amazement towards him. Ji Chang-Wook has proven himself that he is a great actor that can do anything. I don’t doubt he can play ridiculous act because he has done it before but this time, his ridiculous expression has become more often shown. He’s not afraid of showing his ridiculous side so many times in this film. I don’t know how he also made those nerdy circle spectacles worked so well on him. I can’t imagine myself wearing one—not that I’m wearing one anyway. Ji Chang-Wook really nailed every look. 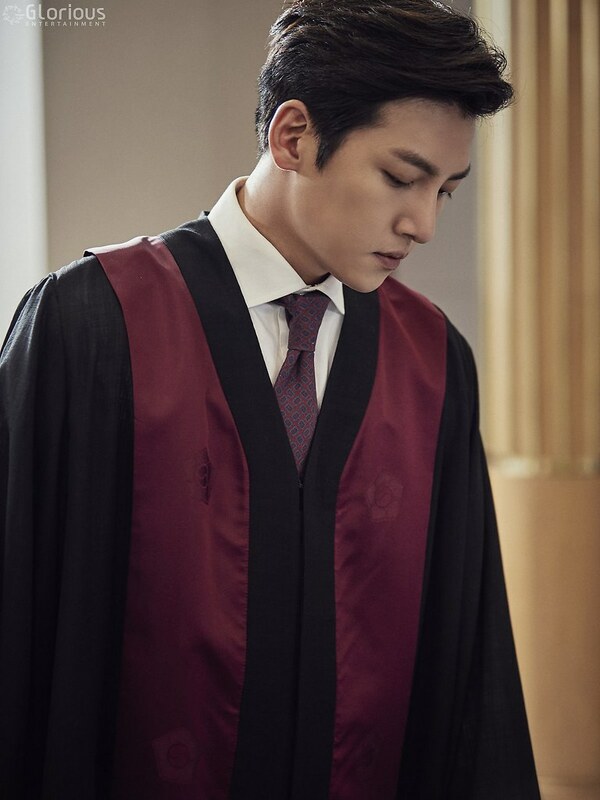 Being the cool prosecutor or the ridiculous lawyer, Ji Chang-Wook embodied the character of Noh Ji-Wook really well. You will fall in love with the character easily, not just because the character is portrayed by Ji Chang-Wook, but because the character of Noh Ji-Wook is loveable. Ji Chang-Wook managed to make us feel his feeling, not only from his words or actions but also his facial expression. Whether he is sad or happy, we can really feel his feelings too. 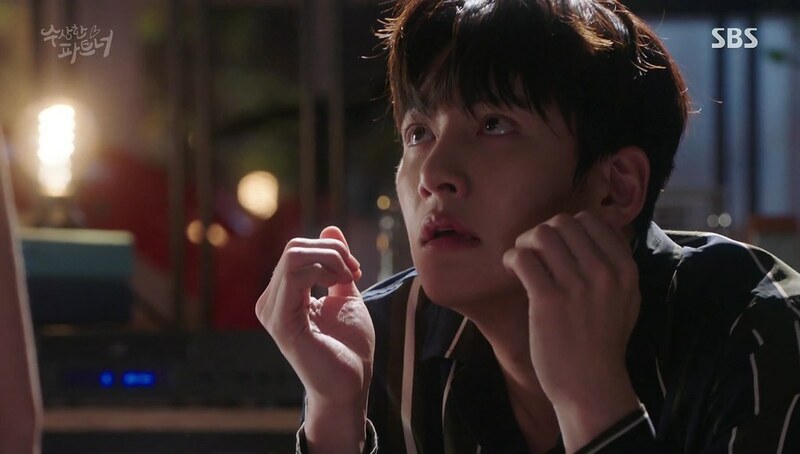 Even after seeing some ridiculous action of Ji Chang-Wook in his previous dramas, I am still amazed how he managed to do an even more ridiculous one. 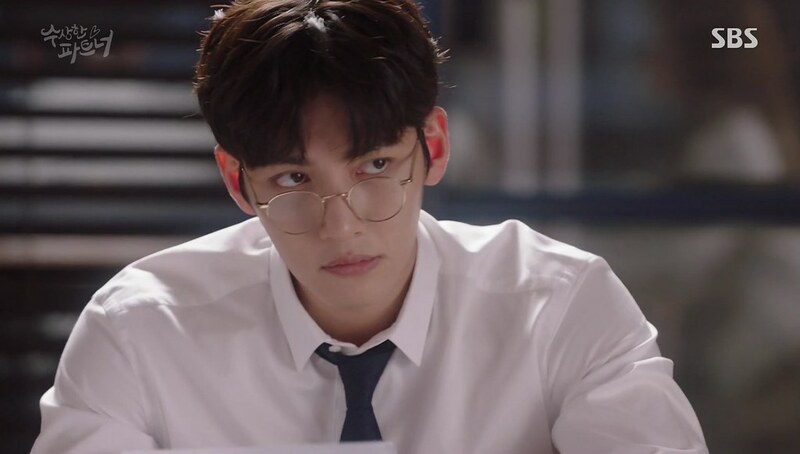 Although he didn’t do a lot of fighting scene in Suspicious Partner, even barely to do any fighting, he still managed to give a very good charisma. Either as a prosecutor or as a lawyer. When needed, he would change his personality from ridiculous to maintaining his poise. He really is not afraid of looking funny, ridiculous, and even sometimes adorable as well. Ji Chang-Wook really has proven to us that he is a great actor indeed. I am looking forward to another of his drama in the future after he finished his mandatory military service. As for Nam Ji-Hyun, I’ve seen her in Angel Eyes (2014) before. In that drama, she played the younger version of the main character. From what I’ve heard from my sister, she used to be playing the younger version of a character. This time, she got the part to play the main character and not the younger version. When I heard Eun Bong-Hee is a black belt in Taekwondo, I expect her to do a lot of fighting skill, proving to us that she is indeed a black belt. It would be so interesting to see a female character do fighting scenes like Park Shin-Hye in Doctors. However, I don’t see a lot of those fighting scenes in Suspicious Partner. Yes, she did some upper kick and such but it’s only a couple of times, really. I expect many fighting scenes because we’re dealing with bad guys more than a couple of times here. I want to see Bong-Hee defence herself and do a lot of fighting scenes. It’s a bit disappointing because those fighting scenes only happened a couple of times. Nonetheless, it doesn’t change the fact that the story is good. It doesn’t really disturb the flow of the story anyway. Despite being nine years younger than Ji Chang-Wook, Nam Ji-Hyun has proven herself that she can look more mature and keep up with Ji Chang-Wook. Doesn’t matter the long gap of age, because when they were together, they really made a good couple. Nam Ji-Hyun has been an actress since a very young age, so I guess we don’t have to doubt her acting skill. Like Ji Chang-Wook, she’s not afraid looking ridiculous. It shows in the drama how many times she looks funny because of her ridiculous facial expression and she has no problem in playing serious scenes either. Like Ji Chang-Wook and Nam Ji-Hyun, Choi Tae-Joon who played the character of Ji Eun-Hyuk also has shown ridiculous acts many times. He has delivered a very good performance being Noh Ji-Wook’s best friend and co-worker. Ji Eun-Hyuk often acts as the ice breaker because he often laughs and smiles to lighten the mood. Kwon Nara who played the character of Cha Yoo-Jung, has also done a great job. I thought she was some kind of antagonist but apparently, that’s not the case. 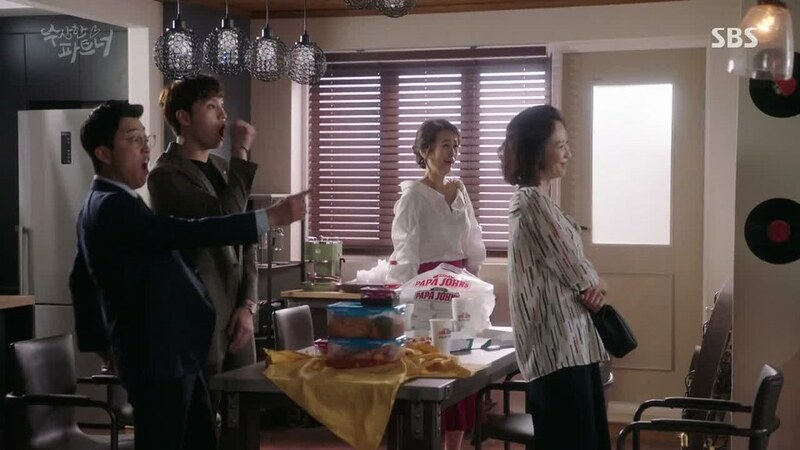 I was hoping things would get more complicated when she came between Noh Ji-Wook and Eun Bong-Hee. However, it’s not as quite complicated as I was hoping but her character really made things funnier. I would like to see her more in prosecutor robes. Nonetheless, she still did a great job in playing a prosecutor. I’ve seen Lee Deok-Hwa in several Korean dramas now, including last time in Secret Love (2013). I was used to seeing him playing the bad guys but now I can see him as one of the good guys. And I think he’s very good at it. Looking funny also suited him very much. 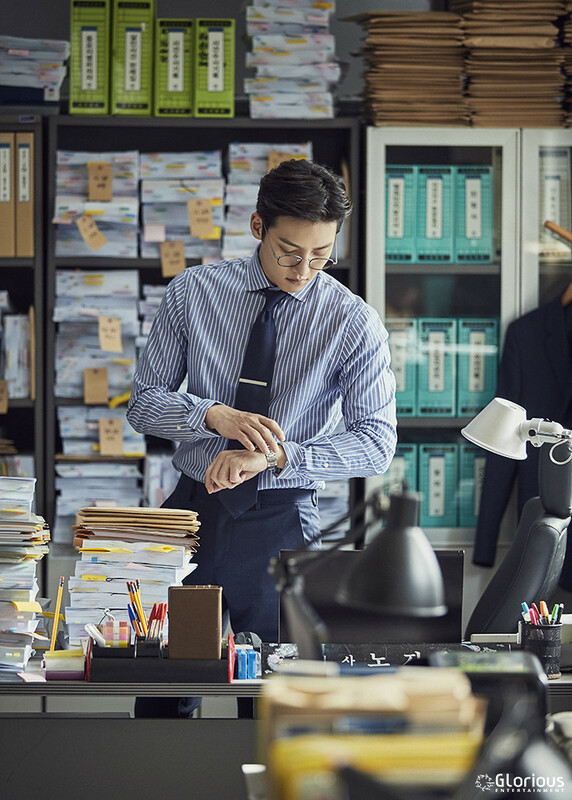 In this drama, Lee Deok-Hwa played the character of Byun Young-Hee, a representative of a big law firm who later decided to move and work in Noh Ji-Wook’s law firm. Like Ji Eun-Hyuk, Byun Young-Hee often plays as the ice breaker. He kind of always made serious things turned to a ridiculous and funny situation. Ji Eun-Hyuk still has his own problem, especially that involves his love story and that’s why there are still some sad moments with Ji Eun-Yuk. However, with Byun Young-Hee, you will only laugh or in the least, smile. He surely knew how to entertain the audience. I know the script played an important role in giving the story but without an excellent performance from Lee Deok-Hwa, that good script won’t do any justice. I like the chemistry between Ji Chang-Wook and Nam Ji-Hyun together. Your heart will melt when you see the sweetness of Noh Ji-Wook and Eun Bong-Hee. There are more than a couple of times where you can see how sweet they were together and of course, how funny and ridiculous when they were together. Although I have to be honest that the love shown by Eun Bong-Hee is not as much as the love shown by Noh Ji-Wook, I still think their chemistry is very good. Either being prosecutor and murder suspect or as lawyers or as a couple or as prosecutor and lawyer, Ji Chang-Wook and Nam Ji-Hyun have shown us a very good chemistry. Their romance is not just a normal romance because they also made us laugh and sympathetic as well. Apart from the chemistry between Noh Ji-Wook and Eun Bong-Hee, I also like the chemistry between the other characters as well, Noh Ji-Wook, Ji Eun-Hyuk, Byun Young-Hee, and Bang Eun-Ho definitely have good chemistry together. They were very funny every time they were together. When they were together, it’s like a parody. It’s always funny and invites some laughter. It’s also interesting to see the relationship between Noh Ji-Wook and Ji Eun-Hyuk. They are in a love-hate friendship. More of love in Ji Eun-Hyuk side and hate from Noh Ji-Wook side. Therefore, when they were together, they were very funny. One being want to stick the other around while the other one wants to stay as far as possible to the other. It is seriously very funny and interesting. Although I kind of already guessed what happened between Noh Ji-Wook and Ji Eun-Hyuk, still they gave us a little bit twist about their relationship. In summary, all the cast really have good chemistry with each other. The love and hate relationships look pretty much funny and exciting, either the romantic relationship or just friendship. Every relationship of each cast is interesting to see. Even the writers also made sure that the antagonist has some kind of background story about a relationship that made us curious and they didn’t tell us about it up until the end. That’s the more reason why we will want to stay until the last episode because, despite all things, there are so many things unanswered if you don’t stay tuned until the end. All in all, Suspicious Partner is a very good Korean drama. It’s very funny and very enjoyable to watch. I don’t know about scary and thrilling, but there are some scenes that a bit scary or to be exact, a bit tensed. The story of Suspicious Partner is very simple but then again really makes you feel curious. You definitely have to watch it until the end to know the bigger picture of the story. The criminal case is not too complicated so you can follow up easily. Even the legal terms are not as hard as some Korean dramas that I’ve watched. I prefer it like this because as you all know, I am not a Korean and definitely not someone majoring in law. Therefore, it would be very confusing if they gave us a very complicated legal term. 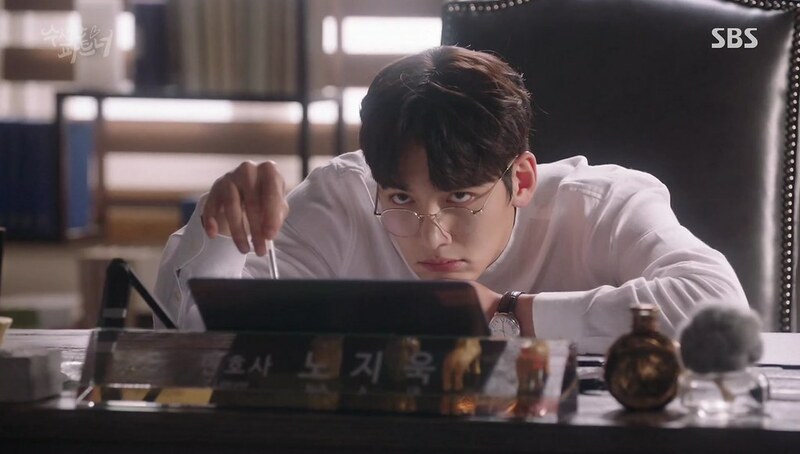 That’s why I can still enjoy watching Suspicious Partner because they didn’t make a difficult legal term. 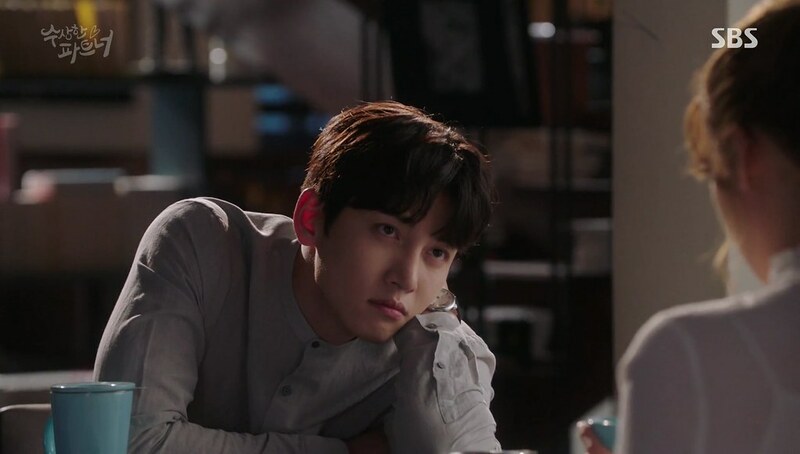 To be honest, another plus point that I really enjoy Suspicious Partner is the fact that I got to see Ji Chang-Wook once more and that’s the more reason for me personally, to like this Korean drama even more. I am not trying to be biased here, but Ji Chang-Wook really has delivered a very good performance. An excellent job indeed. 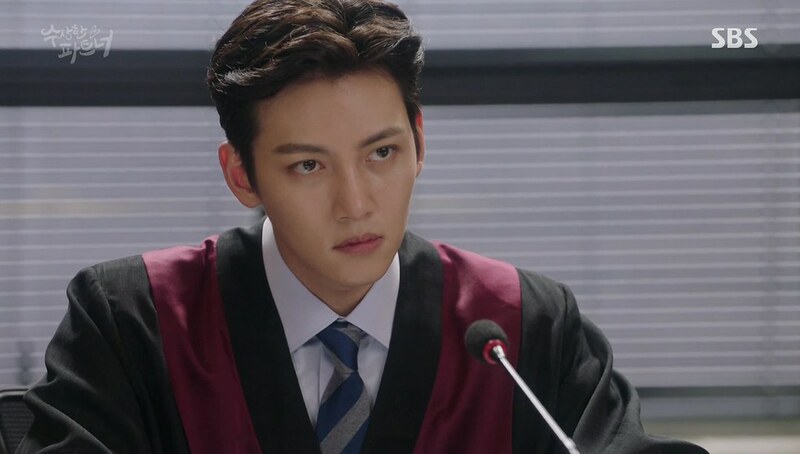 In Suspicious Partner, he really has proven to us that he couldn’t just do bodyguards role but also lawyer and prosecutor as well. I really have to praise him and all the other cast in Suspicious Partner, and of course, the production team from the writers to directors to costume designer to makeup artist and all. They all have done a really great job, making Suspicious Partner a worth-to-watch drama. They executed this drama really good. I truly enjoy this Korean drama very much. Although my stomach wasn’t hurting when I watch Suspicious Partner, but at least I get to laugh and smile so many times when I watched this drama. I give Suspicious Partner 9 out of 10 stars.